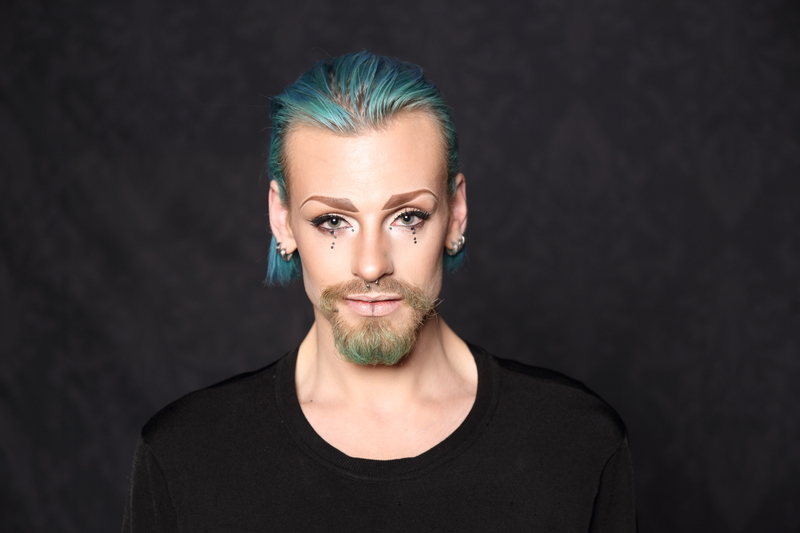 Phil.Lip is a Berlin-born artist offering classes in makeup application, circus performance, and voice for singers and public speakers. With his unique ability to help you release inhibition and expand your own artistic potential, Phil.Lip gives you the opportunity to take a step towards yourself with fresh insight and new perspectives. Phil.Lip began doing his own makeup at the age of 12, when he entered Children’s Circus in Berlin. Over time he has honed his style and widened his range of expression through a vast knowledge of application, color, shading, and contouring. Learn how to apply makeup for everyday, special occasions, and stage performance. After his years at circus school, Phil.Lip returned there to teach when he was 19 years old. As an international performer, he is most celebrated for his innovative and compelling hula hoop shows. He has worked with the renowned Salon K since 2010, a lifestyle theatre company for private clients where seven exceptional artists interact with the audience to create a new kind of influence and stimulation. Circus classes include general acrobatics such as tumbling, handstands, contortion, aerial tissue performance, general movement, and choreography. Private and small group lessons of up to five people. Phil.Lip​ combines is classical vocal education with his connection to movement in order to enhance performance dynamics. Phil teaches people how to sing, regardless of their level of proficiency. His technique encourages you to free your voice, find comfort in delivery, and discover your own individual artistic expression. Those interested in public speaking will learn the basics of elocution and how to captivate an audience through vocal placement and physical presence.